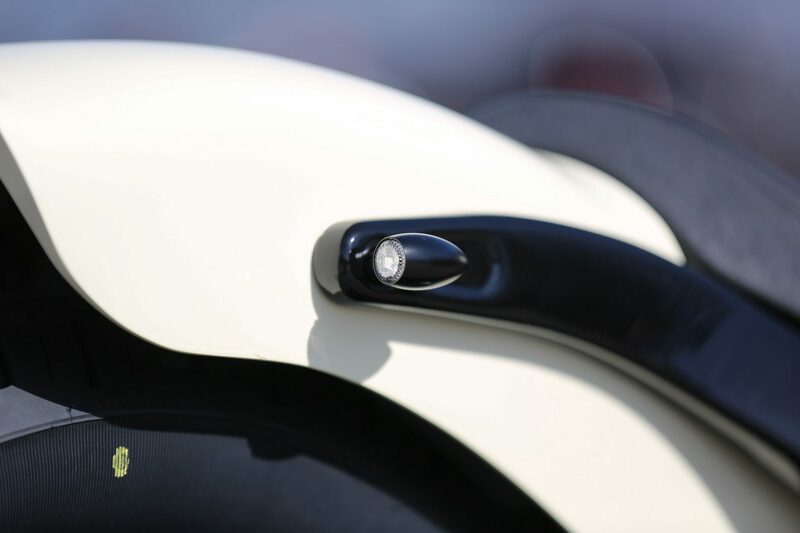 Save my Day saw the light of the day a few days ago. 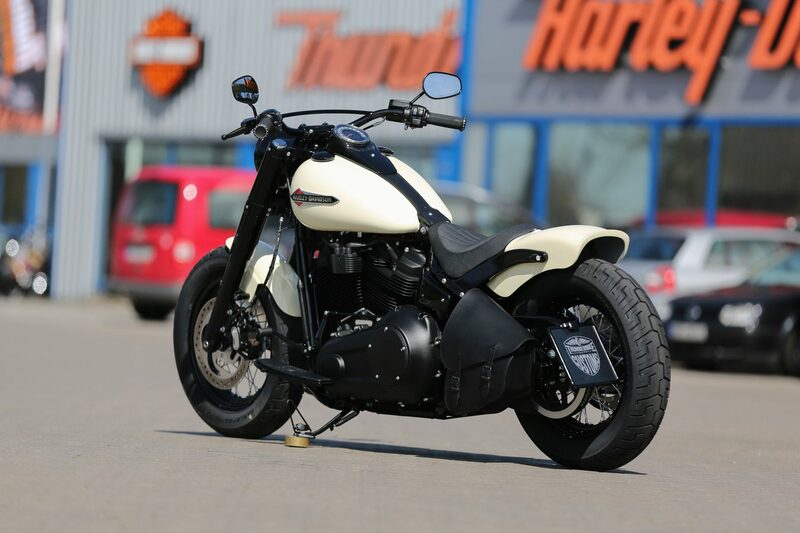 Fitting for the start of the season, the lucky customer could drive his 2018 Slim from the yard. 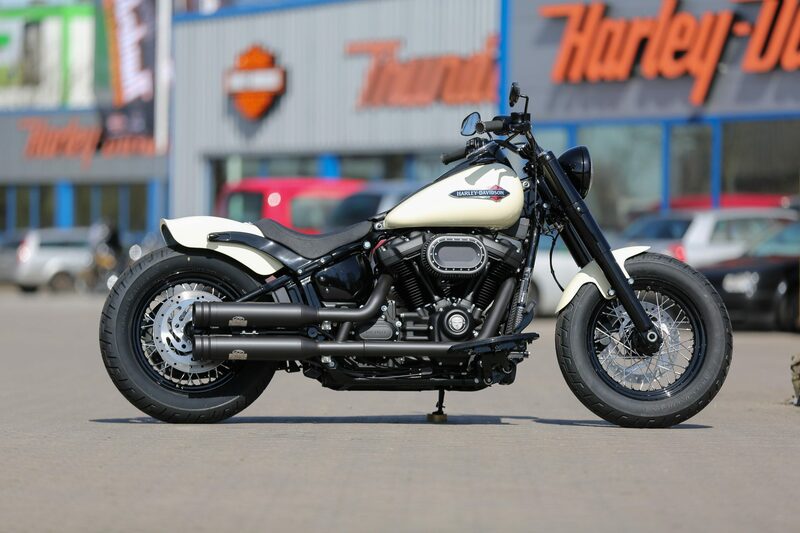 Original not yet the perfect bike for the customer, we have refreshed it with a few of our new parts. 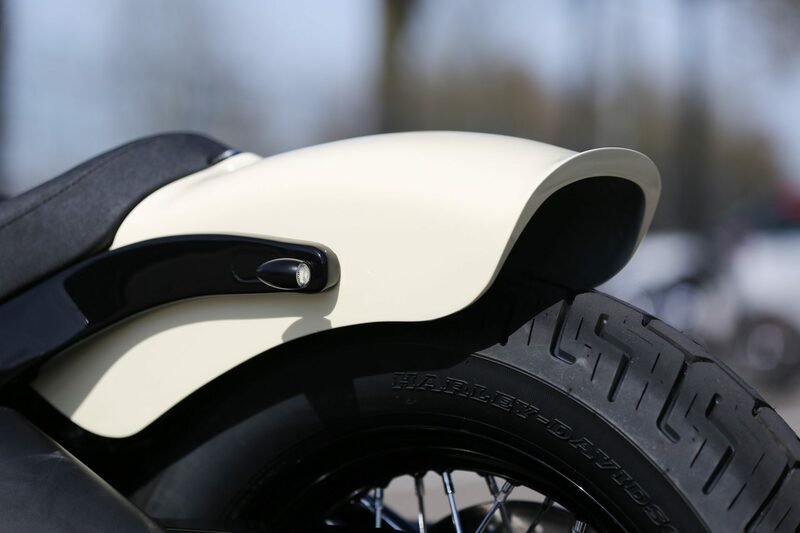 To create a cheekier picture, we have installed the new rear fender “Shorty”. 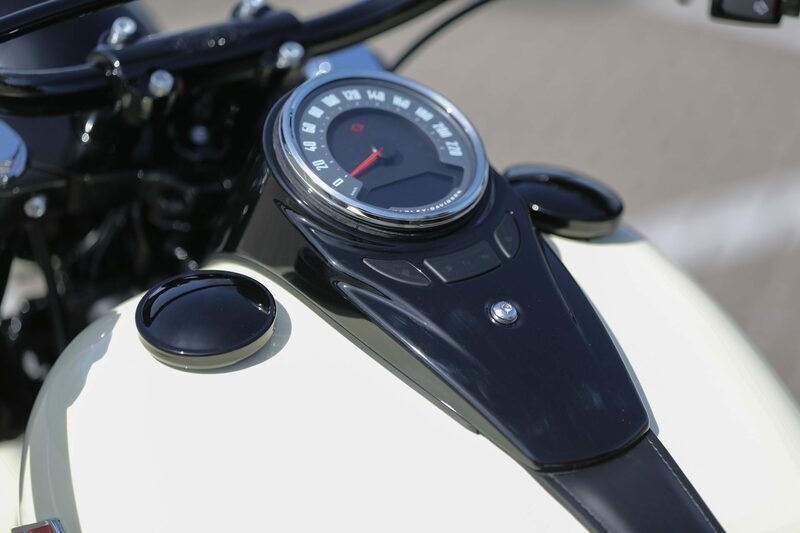 The front fender “Recall”, which was still slightly modified, was not missing for the perfect form completion. 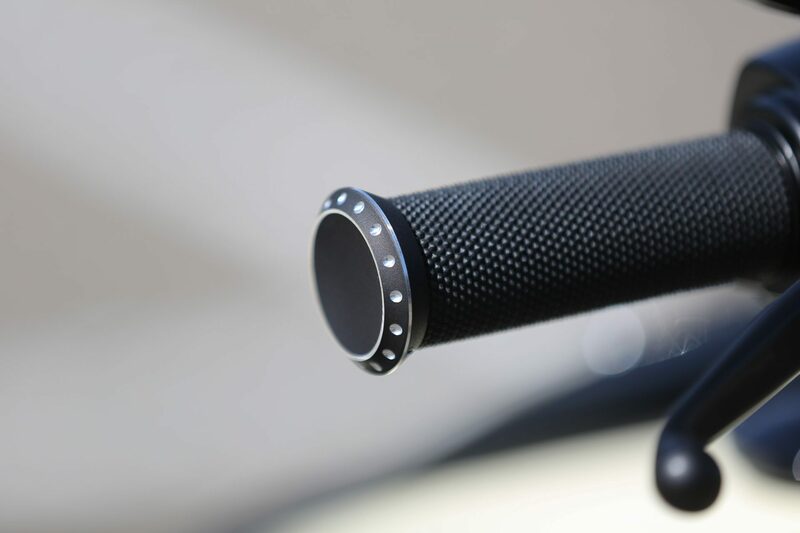 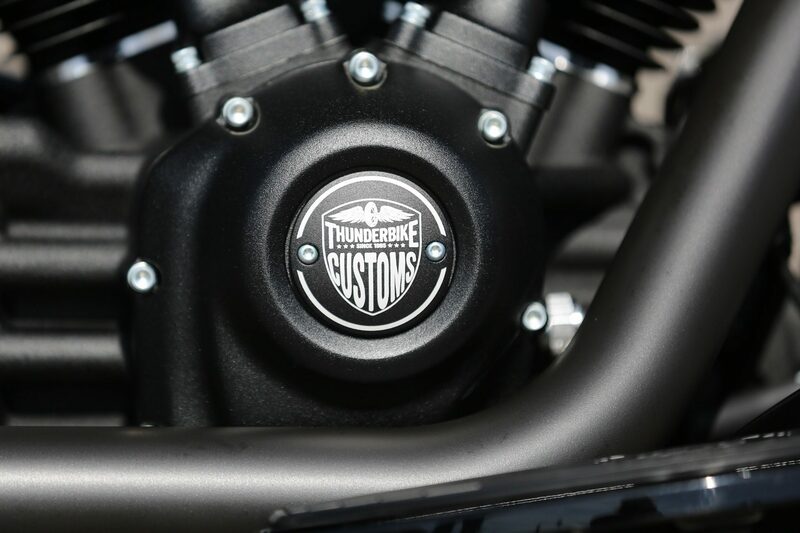 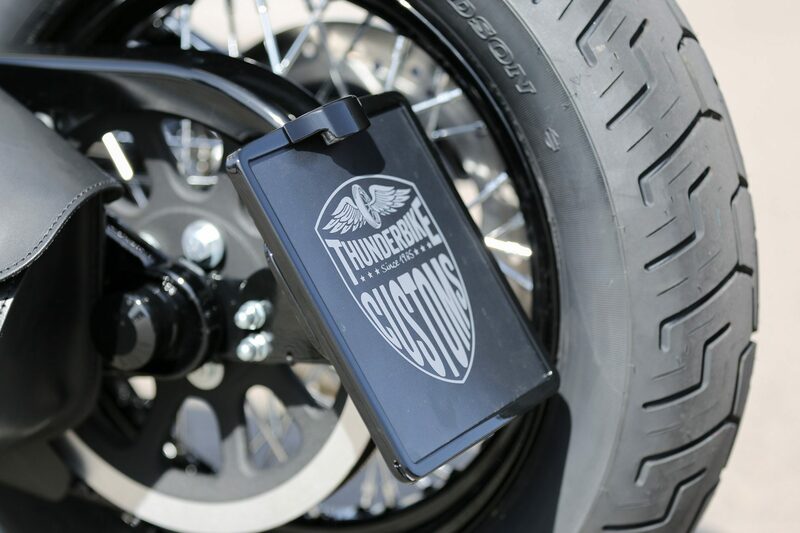 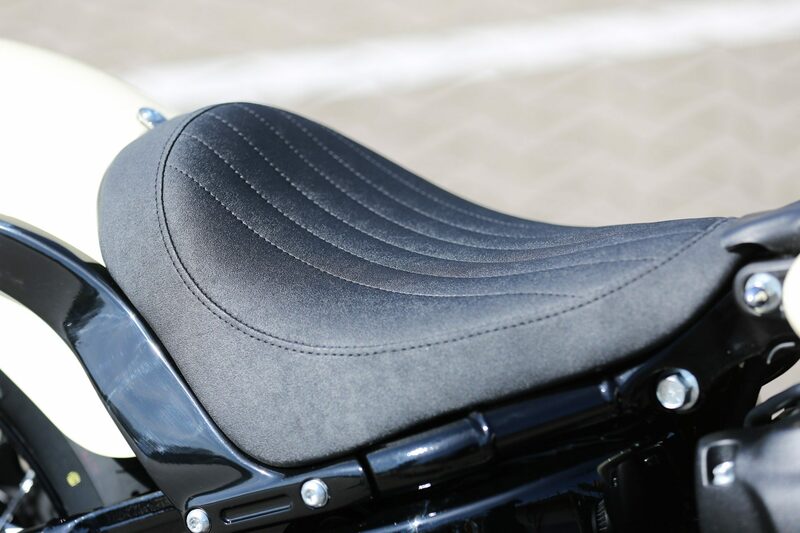 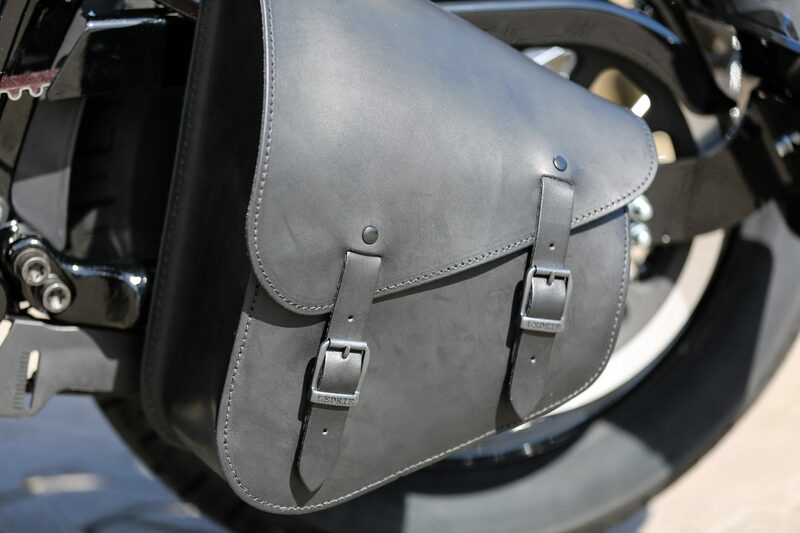 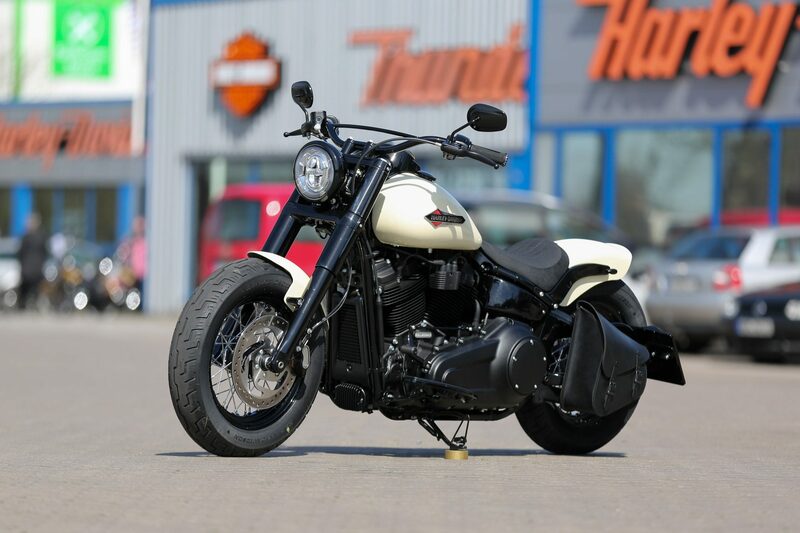 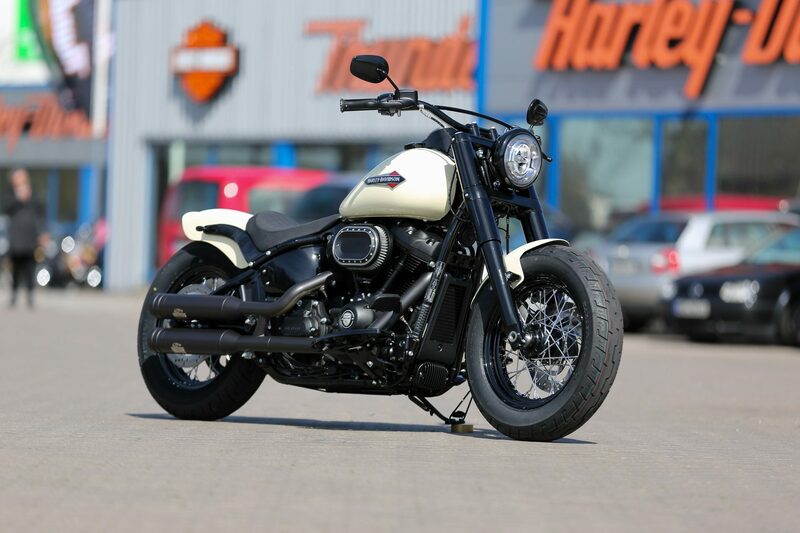 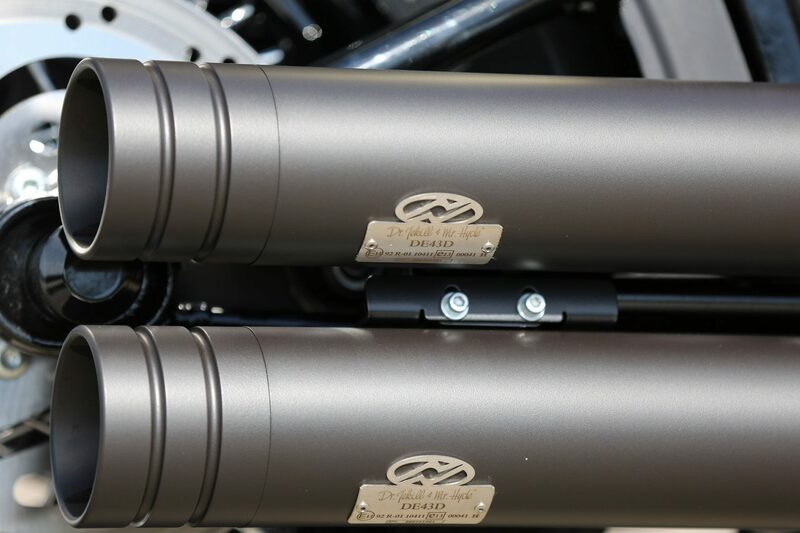 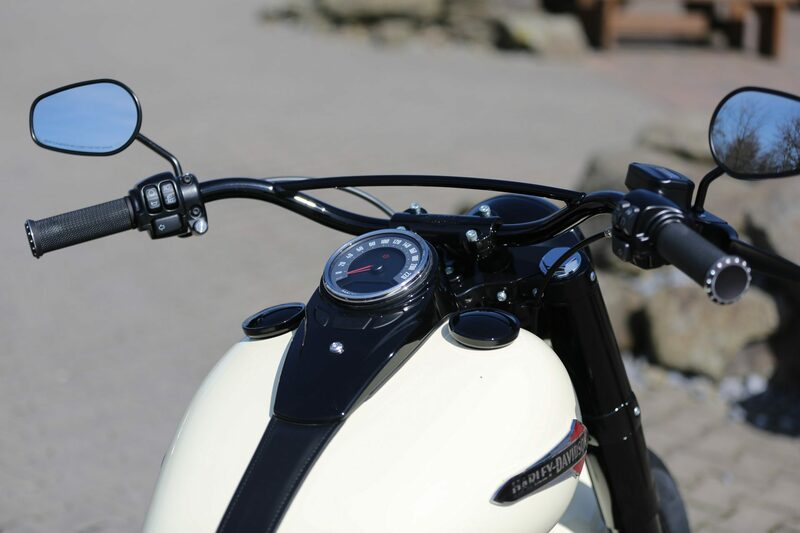 Details such as “Base Rubber” handles, side license plate holder, derby cover in “Drilled” and ignition cover in the “Thunderbike Custom” design, the customer has also desired. 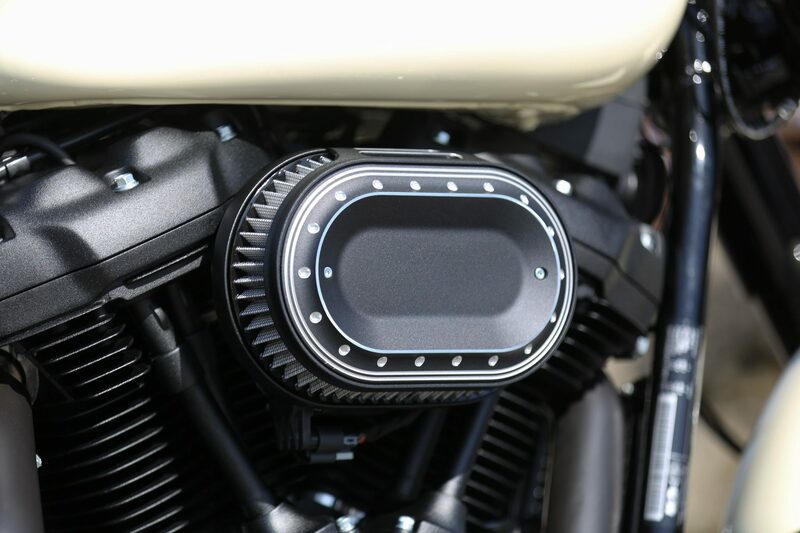 We were also able to convince him of our new oval air filter design. 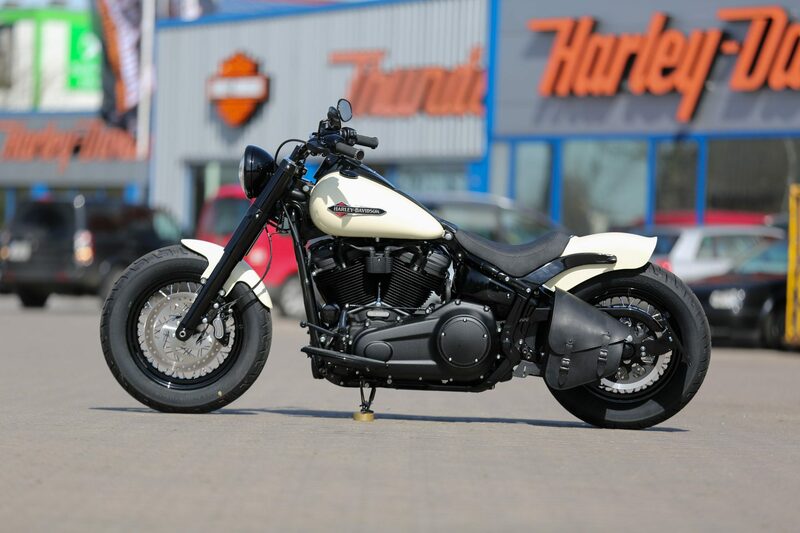 For the chilly cruising with the bobber the matching bubbling was missing, which we got with the pots of “Jekill & Hyde”. 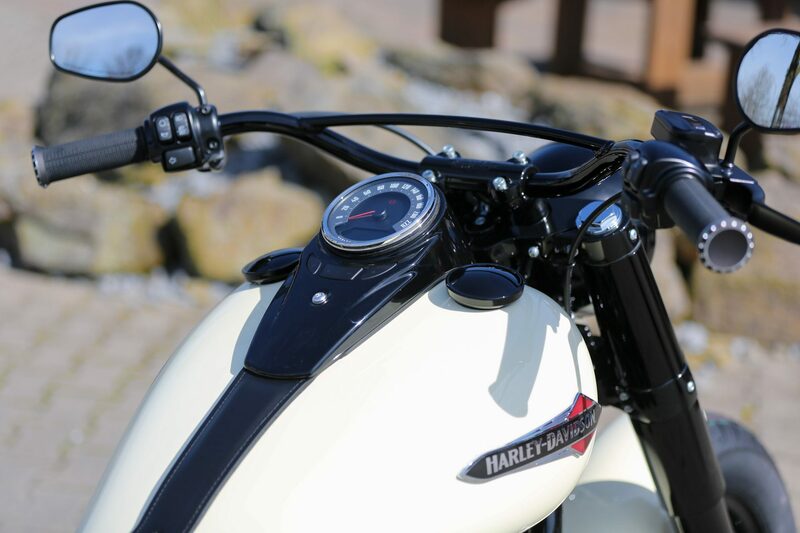 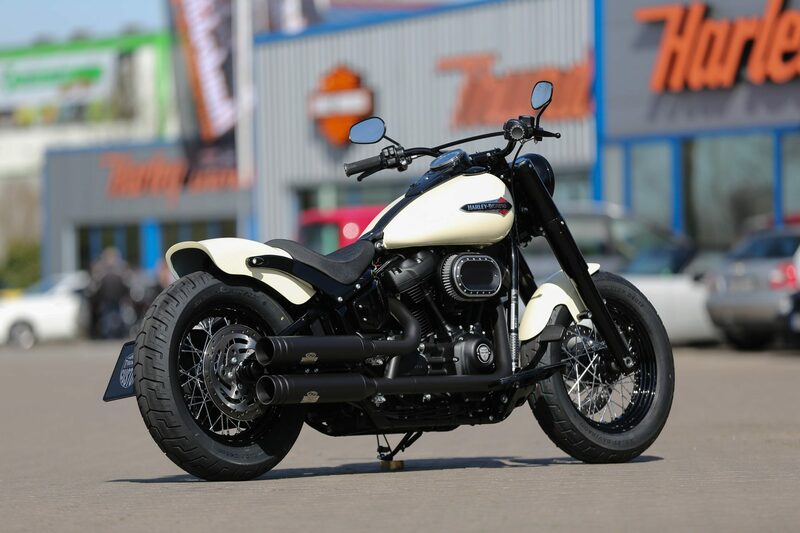 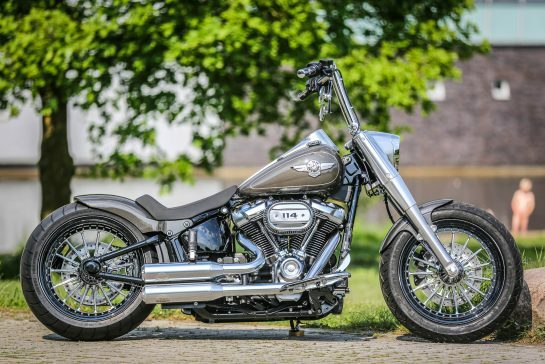 Here is a complete overview of our new Softail 2018 Parts.